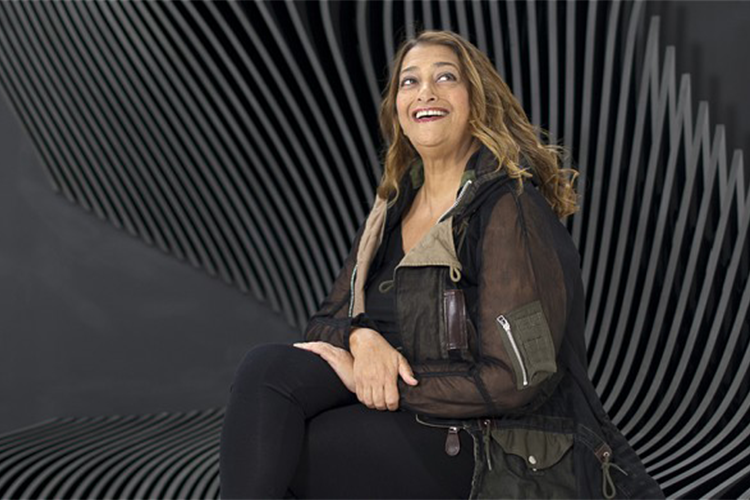 Zaha Hadid RA, the recipient of the Pritzker Architecture Prize in 2004 and the Royal Gold Medal from the Royal Institute of British Architects (Riba) earlier this year, has passed away at the age of 65. The architect passed away in Miami earlier this morning, following a heart attack, on 31st March. Born in Baghdad in 1950, Hadid studied at London's Architectural Association from 1972-1977. In 1979, Hadid founded her own London studio, but it wasn't until 1993 she was commissioned for her first major work, the Vitra fire station in Weil am Rhein, Germany. Hadid was well known for her designs including the Maxxi: Italian National Museum of 21st-century arts in Rome, the Serpentine Sackler gallery in London, Heydar Aliyev Centre in Baku and the Rosenthal Center for Contemporary Art in Cincinnati. Last year, Hadid designed a museum dedicated to climbing the Mount Kronplatz in the Italian Alps. In 2008, her firm won the international competition to design the Guggenheim Hermitage Museum in Vilnius, Lithuania, a plan which was never put into action. In the 1990's, her plans for the Cardiff Bay Opera House cause controversy and were never completed. 300 models, drawings, and photographs by Hadid were displayed at the State Hermitage museum last year in St Petersburg, which attracted drawing 680 000 in three months.